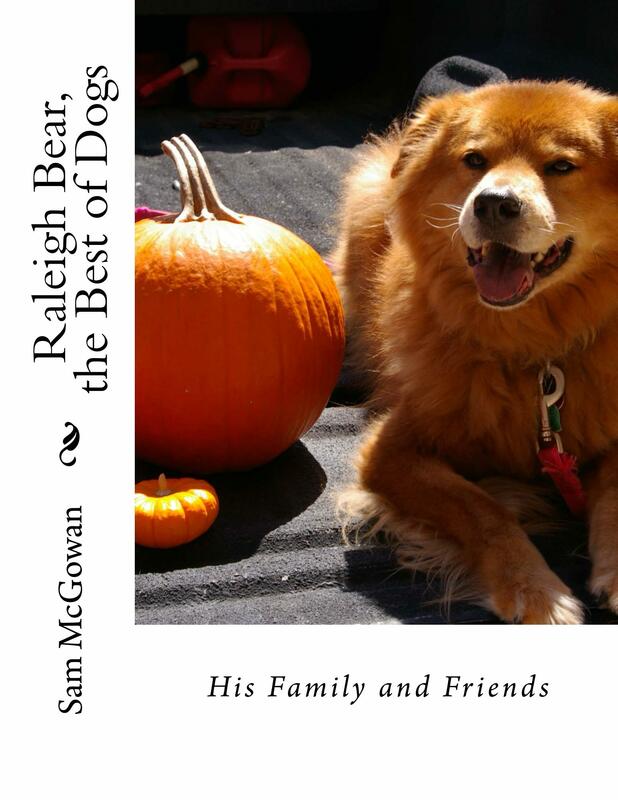 As the name implies, Raleigh Bear, the Best of Dogs, His Family and Friends, is about a dog, a very special dog. Raleigh was unarguably the most intelligent dog I've ever seen. While he was predominently Chow, according to a DNA test, he also had some Shih Zhu, Canaan Dog, Sussex Spaniel, Tibetan Mastiff and Cocker ancestry. Regardless of his bloodline, Raleigh was very happy and amiable dog who brought great joy to our lives. He was the first of a pack of dogs that later included a female Chow mix named Sissy and a Golden Retriever named Raine. Our household also included three cats, Charlye, Tiger and Max. He loved them all and they loved him. Although Raleigh had a long and happy life, there were tragedies and serious health issues. He came down with the deadly Parvo virus within a couple of days after we brought him home from the Houston Humane Society. In his later years, he was stricken with Autoimmune Hemolytic Anemia, a condition that kills some 50% of the dogs that develop it. Raleigh beat it but he wasn't able to beat cancer. Raleigh Bear, the Best of Dogs, is available in three forms - a full color edition, a black and white edition and a color edition on Kindle. It can be ordered directly from the publisher, from Amazon and other online booksellers. Autographed copies can be ordered directly from the author - prices include shipping and handling.